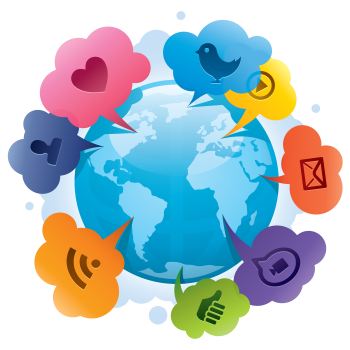 A fully automated platform for crowd-sourcing your social media promotion. 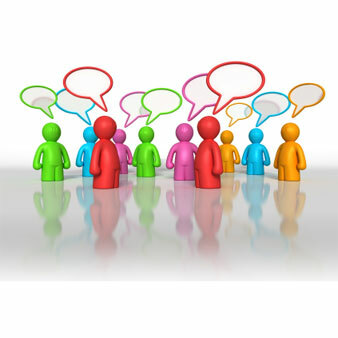 Let us get thousands of real people talking about YOUR site. SocialAdr is incredibly easy and fully automated. You won't believe how quickly you can get piles of social media promotion, and how little effort it takes. It's no secret - people love SocialAdr. And no wonder, when we save them so much time and hassle. SocialAdr is one of the easiest tools you will ever use. No messing with complex settings or options. We're routinely chosen as the #1 social marketing tool for getting fans, likes, pins, and pluses. SocialAdr builds social reputation fast. You'll be amazed at what you get just in the first week of using it. We get you promoted on Facebook, Twitter, Pinterest, Linked In, Google+ and many more. Nothing for you to install, so you don't have to worry about the nightmare of getting it running. Works from anywhere, any time. You don't have to do anything to keep the likes, tweets, pluses, pins, and mentions flowing. Turn it on and watch it go. Thousands of our members promote your content on their real social accounts. There's no substitute for the real thing! We're here to help YOU with any question, anytime. Let us know how we can make your experience great and we'll jump on it. We're always rolling out new features and updates. As a member, you'll automatically get upgraded to the latest version. What are you waiting for? It's time to take the next step and try it for yourself. Social signals are the most important ranking factors for search engines. You'll never be alone; our support is actually here to help. You always have access to a full set of reports inside your account. We keep the software current at all times so you don't have to worry. User your SocialAdr account anywhere you can access the web. Want more Likes on Facebook or more followers on Twitter? No problem. Once you get inside, it only takes a minute or two for you to set up your first promotion. Once you've done that, you're finished! It really is the easiest way to create social buzz for your sites. How important is social promotion? Every day your social promotion strategy becomes more and more critical. Years ago it was a minor factor in search engine rankings (SEO). Now, things like the number of Facebook Likes or Google +1's are key to showing up at the top of the results. On top of that, more and more visitors to websites are coming directly from social media sites. To keep adding new members and customers, you need to be visible on the social media platforms where they are spending their time. We provide real-time, in-depth stats and reporting. Any time you want, you can check your account to see what promotion has been completed. You can even click through to see the actual postings from our members. How much social buzz can I really get? SocialAdr is a powerful marketing engine, drive by thousands of members. It can provide you with thousands of social mentions every month without breaking a sweat. In fact, SocialAdr helps many marketing agencies deliver great results for their customers through large-scale reseller accounts. A little insider knowledge: a year or two ago we actually had to code some safeguards into our system to keep it from promoting TOO much. We even have options to allow members to set their campaigns to a bit slower speed if they like. We provide training and easily accessible help pages, but if you still have any questions we have real support standing by to answer them. We'll make sure you understand your account and can easily run all of your promotions. We have over 70,000 users from all around the world. See what they think. I've been using SocialAdr for over two years now and am an absolute Disciple! I can't imagine why anyone wouldn't incorporate it into their own social media strategies. Guys, you are nuts if you don't get this. Getting social submissions each month to your web pages is a true no-brain decision. I have been using this for a couple days and it is amazingly simple. It was exactly what i was looking for. 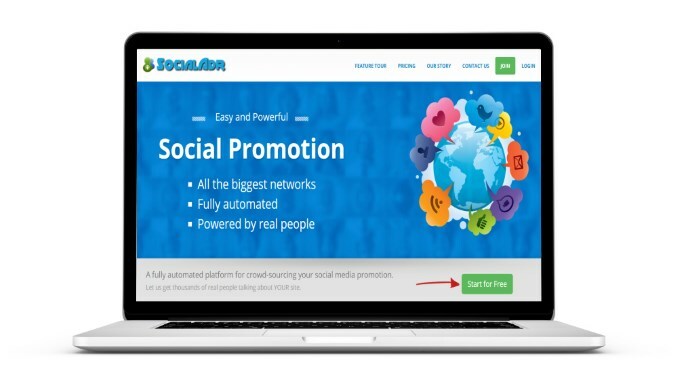 We built SocialAdr to be the social promotion tool that we always wanted. It had to be incredibly easy to use - not just to learn it, but every time we had to use the tool, we wanted it to be a breeze. That's why it only takes a few seconds to do everything you need to start promoting a new site or page. We also wanted it to be powerful. What good is having a quick and easy tool if it doesn't get the job done? That's why SocialAdr can get hundreds or thousands of social mentions for any URL you enter, all with just a few clicks. Now that's power ... easily at your fingertips. SocialAdr was built to last, and after almost 6 years it's only gotten better. We keep a close eye on each network, constantly adjusting and tweaking to make sure it runs smoothly. We've even worked with a few of the bigger networks, like Twitter, to integrate more tightly into their systems.